They think you are an angel or something. Bad at fighting, great at slowing you down. Thanks for playing! It was fun watching your playthrough. I actually recently updated the game to make that last stage a bit easier. It saves progress, so if you re-download it, you should be able to skip straight to the last stage if you feel like giving it another go. As a hint, Everett needs to be alive on that ledge. You can use the upside-down checkpoint and some post-respawn momentum to get up there, like in the last puzzle of stage 2. I'm glad you found it interesting. What would you have found helpful to see explained better in the explanation? And yeah, it's supposed to be fairly frustrating, especially since I chose the simplest things (breathing and walking) to be the challenge. Thanks for playing! There's actually only three rooms, so you're near the end. Thanks for playing, and I'm glad people are making it to the end, because I want people to experience that same feeling of awe and relief I felt when I reached that point in my own dream. The breathing itself was never meant to really be all that hard, but rather serve as a simple task to steal part of your attention, making it harder to focus on the door. I'm glad you liked it! Shortening the restart time might be a good idea. I just had the one animation to communicate the premise of the game better by showing the bed and the idea of looking around, and I never got around to making a shorter animation. It also serves as a quick breather before another attempt, but I supposed determined players want to just jump straight back into the action (if you call walking and breathing action). That was great! The audio and visuals are amazing. There were a few parts where the bounding boxes were a bit too big and the bird got caught in a cog without the visible part of the sprite actually touching. Also, pressing SHIFT five times in a row is the default shortcut for turning on sticky keys, so that kept interrupting the call. It was still a lot of fun, and even though I messed up on XI probably fifty times, I eventually got it. Oh, and thanks for having some many checkpoints and rest areas! Thanks! The textures were really just random scribbles and GIMP filters, but I'm glad to hear they had the right effect! I needed to exaggerate the looking-away effect so players couldn't break their focus and relax for even a second. I wanted players to feel panicked and tense during that whole chapter. Still, though, I know not everyone sets their mouse sensitivity at the same level, so some players might get more of an arm workout than others. Thanks for the suggestion! As long as the top bar is over half full, keeping balance works the same, but as it sinks below that, looking away from the door has a stronger effect. When alternating with the left and right click, you need to hold it, but if the bottom bar reaches the edge, your lungs are either full or empty, so you need to switch for breathing to work (The top bar only fills on inhales). Also, deeper breaths refill the top meter faster, so it is worth it to hold it for a second each way and get into a rhythm. The breathing stage is the final stage, and I wanted to create a sense of desperation trying to inch toward the door, but I realize that's kind of tricky in such a short game to get players invested. I'm trying to find the balance of making sure all players at least pass out a few times before finding a rhythm without making it feel impossible for others. Thanks for playing! That's the kind of feeling I was going for. It's good to hear I was actually able to capture it. It was interesting how you limit choices based on previous choices, still showing the option but crossed out. It's a good way to capture the feeling of having everything spiral out of control. It's a very relate-able. Especially since I love playing Super Slam Buddies on my Pretendo Swap. Thanks for making another thing to fuel my meta-fiction obsession. The art was really neat. The grammar could use some work. I'm looking forward to the post-jam update. That is really hard. I could only barely get 20 on normal mode. I like the variety of enemies and how it changes over time. It keeps the game from feeling tedious. Others have mentioned it already, but recovery items or more health might be a good way to show some mercy to players without removing the stress of avoidance. Other than the hopeless difficulty level, it was a fairly enjoyable game! You have some interesting ideas for this game, and it would be cool to see them fully implemented, like being penalized for bullet collisions. If you continue working on this in the future, you might want to move the health bar, and maybe shrink it. I found myself hiding behind it too much, where I was blind to attacks. I figured they were different, but I'm not familiar with Panda3D, so I thought I'd check. None of your suggestions seemed to work, so hopefully I'm in the minority with that problem. It's simple, yet the mechanics of constantly going back and forth to appease the towering faces sends a powerful message and a feeling of getting caught between two extremes. I assume the game is endless, or is there actually a destination? There's no indication of progress, so I'm not sure. It seems like it was working fine for everyone else, so I'm not sure what is going on with my computer. I love the disorienting, winding tracks, very impressive for such a short jam! 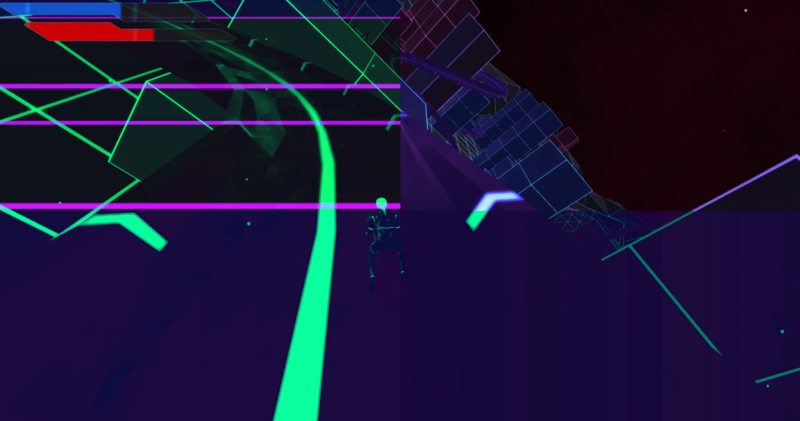 With some better warning about what comes after sharp bends and less turning around when I hit the walls (maybe penalize with something else, so I don't accidentally start driving backwards), this could be an awesome racing game. This is awesome, my favorite jam entry that I've played so far! (I have a lot more to get to though) Anyway, I thought the mechanics were fairly easy to learn but still tricky enough to reason through, so it was satisfying to discover the solutions. It felt smooth, and the effects were pretty neat. I would give it 5 stars if it was possible to leave a rating, but I think that's disabled until the fake jam rating period ends. Ha! Yeah, this was certainly not the solution I had in mind when designing that stage, but it is quite entertaining watching people try things I never even thought of. I'm tweaking the stages here and there trying to get the right difficulty curve, and this play-through will help me figure out what needs adjustment. Thanks for playing! 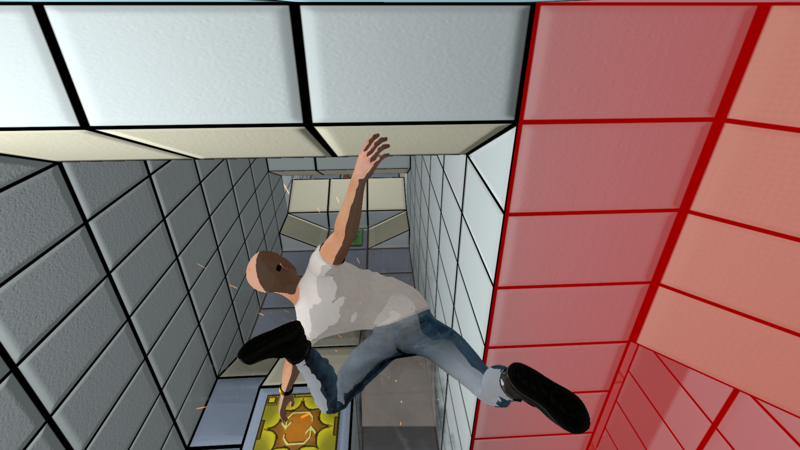 Fail to Win is a death ragdoll puzzle game where you progress by abusing the ability to respawn. It's a comical game where you run into bombs and get yourself blown up in all the right ways. We just released the first chapter for free. It lasts about an hour and includes four stages (or about a dozen puzzles). We have a lot more planned, but we're hoping to get some feedback and support before moving forward with the full game. If you're still looking for games, I recently released the first chapter of my game, Fail to Win. 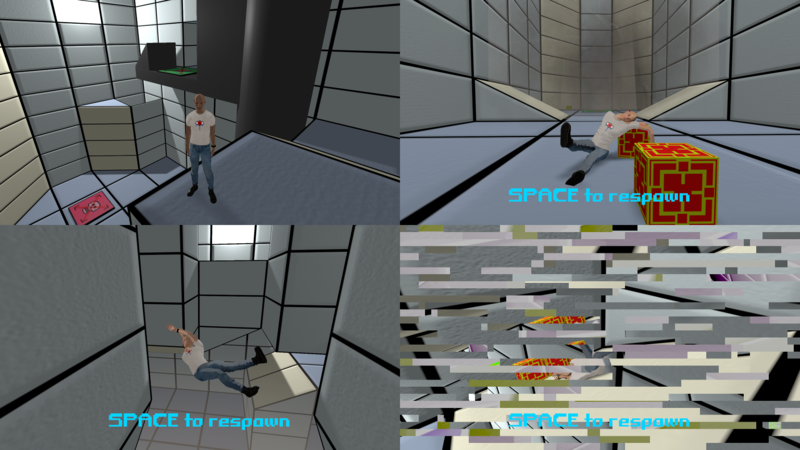 It takes about an hour to complete, and it has you solving puzzles by getting blown up and abusing the respawn. It's mostly just comedy at this point (dark horror twists are being saved for later chapters). I want to make this into a longer game, but to justify that I need this chapter to get more attention. Enjoy! Thanks, please do! A mobile port is unlikely because of the controls, but I'm going to get it working on gamepads soon, so a console port is an option. Thanks for playing! Did you ever finish the first stage? There are four stages. Thank you for playing! That's just the controller from Unity's Standard Assets. I only modified it slightly to allow a trampoline auto-jump, and then I created an additional script for things like picking up objects. Thanks for playing! Historically, monarchs would sometimes give white elephants as gifts which, while a great honor to receive, were very impractical and hard to get rid of. Eventually, the term "white elephant" came to refer to any gift that was expensive but also disappointing. Now many people have a white elephant gift exchange around Christmas time, so it seemed like a good name for an absurdly wrapped Christmas present that is a bit anticlimactic. Thank you for playing my game! It's exciting to see so many people record playthroughs. I'm glad you like it! Jam rules won't let me update it until after Christmas, so you likely won't see much more of it unless I make a sequel for next Christmas. In the meantime, I'm working on another puzzle-platformer called Fail to Win (Respawn-as-teleporter type of thing). It's in a similar style, but better-looking and not Christmas, and I'll release the demo soon. Update: I showed a friend, and he was able to figure it out a lot faster. And then he played it over and over again to see what happens after purchasing each gift (and what happens when time runs out without making a purchase). Thanks for playing and for making this walkthrough! I made some small updates since you recorded this. The game still plays out the same, but I fixed access to a certain Easter egg, and controlling the wood box is a bit easier. Great game! It was fun trying to guess what was inside once I got the hang of it. I played to the end, and it was just challenging enough to barely make it on my second try. I wished I could see what was inside some of the obviously-toxic presents, but I couldn't afford to waste charges. Thanks for the feedback! That was actually the trigger area on the wood box causing that. I forgot to disable it until you get past the metal box. I glad the game played well anyway. I love the aesthetic! I got stuck for a while because I couldn't figure out when the phone works, but there were plenty of dancing NPCs to entertain.